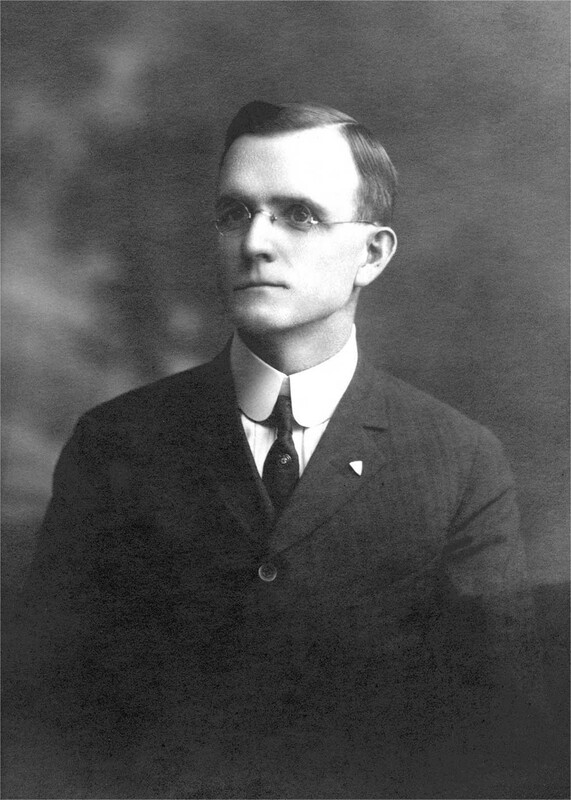 In 1904, American engineer Clarence W. Spicer (29) graduated from Cornell University to start a business in a production hall in Plainfield, New Jersey. 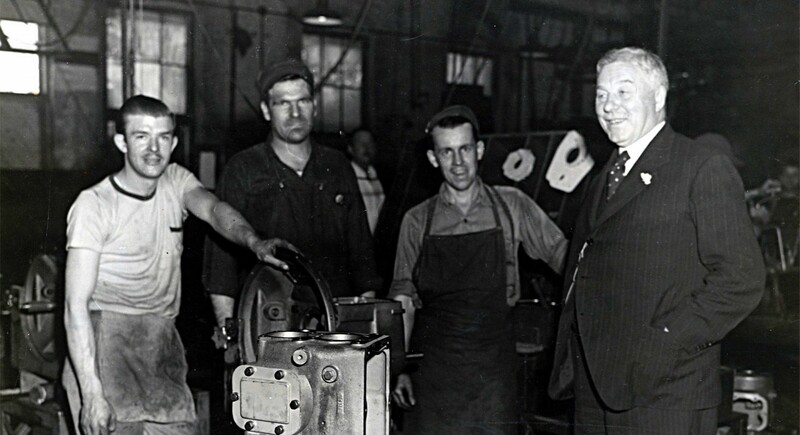 Even when still a student, he had already patented a groundbreaking Cardan universal joint. His invention would become the replacement of the chain drive that was the standard for cars at the time. Spicer may have been a brilliant engineer and inventor, but he didn’t have much experience in business or manufacturing; moreover, the car hadn’t yet become as commonplace as it is today. This was the fresh, and above all precarious start of ‘Spicer Universal Joint Manufacturing Company’. Spicer got started on 1 April 1904, and by the autumn he already had three employees. One year later, twelve people were in his employ and he had his own building. Within two years, the young engineer from Edelstein was able to boast an impressive portfolio of clients: Buick, Wayne, Mack, Olds, Stevens-Duryea, American Motor Car, Diamond T and E.R. Thomas. Spicer got started on 1 April 1904, and by the autumn he already had three employees. One year later, twelve people were in his employ and he had his own building. In 1914, lawyer Charles A. Dana climbed aboard the growing company desperately in need of capital to keep up with demand. It wasn’t just capital that Charles Dana brought with him; he also took along his incredibly sharp business intuition. In 1916 he was elected President and became the Chairman of the Board in 1948. The product range expanded, and the company’s technological expertise and geographical spread expanded with it. Today Dana is an important strategic supplier in the automotive industry. In the time that Dana has been around, it’s been able to take credit for contributing to some of the most famous vehicles in the world: from the Ford Model T and the WWII Willys Jeep to the ‘London Cab’ and NASCAR race cars. Today Dana is an important strategic supplier in the automotive industry. Dana’s head office is located in Maumee (Ohio) in the USA. Clark Automotive NV was founded in Bruges in 1969. Two years later, 276 people were already working there. 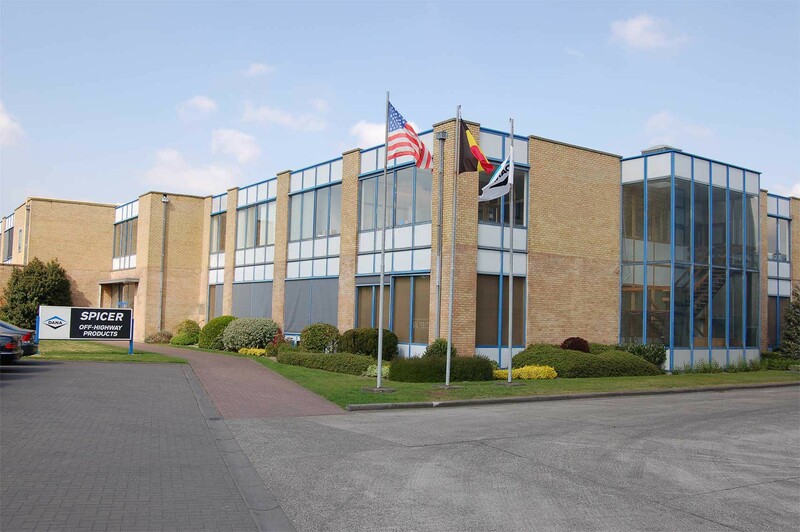 Clark Automotive NV was founded in Bruges in 1969: The new site was a joint project between Clark Equipment and La Brugeoise et Nivelles NV. Both companies joined forces in the transmissions sector for the European Off-Highway market. Two years later, 276 people were already working there. In 1971, the Bruges site became a wholly owned subsidiary of Clark Equipment, and in the next 20 years the company expanded steadily. In 1995 the American group, Ingersoll Rand, acquired Clark Equipment Company, and two years later the entire Clark-Hurth Components division was sold to Dana. Since that time, the Bruges site has belonged to the Dana Off-Highway Driveline Technologies group. 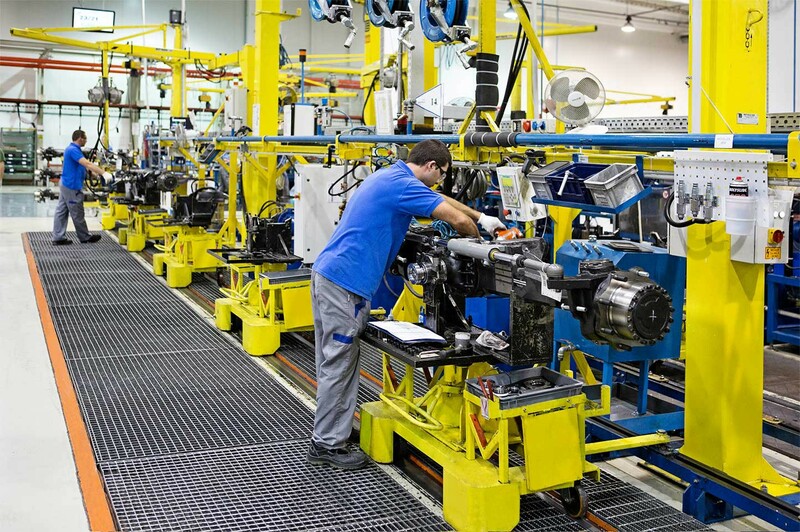 Just a month after the acquisition, Dana had put its confidence in Bruges to develop all of the company’s powershift transmissions globally. Continuous investments have ensured that the Bruges plant remains a state-of-the-art development and production centre. Today, Dana Bruges employs over 500 people. Our products are supplied to over 1,000 customers across thirty different countries. 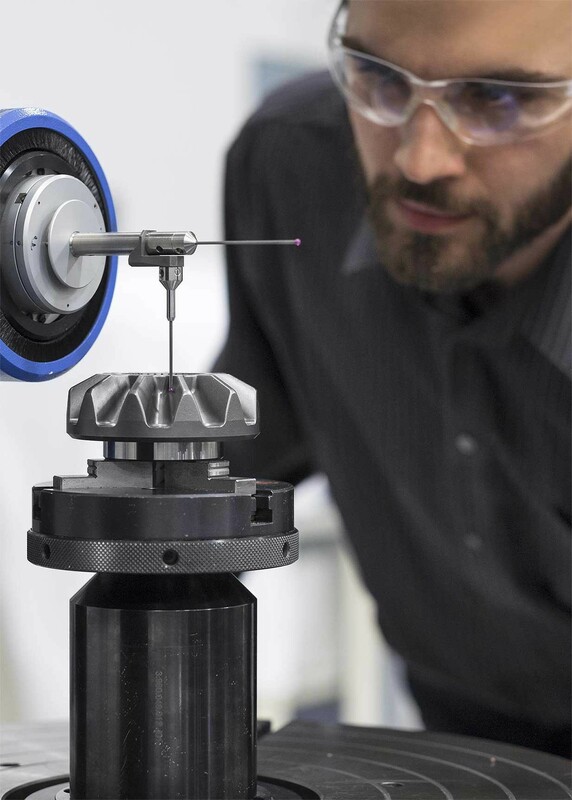 Dana employs over 30,000 people worldwide. It is one of the market leaders in the development and manufacture of drive systems including axles, transmissions, heat management systems and sealants. All over the world, Dana products can be found in all types of vehicles, ranging from passenger cars to lorries to Off-Highway equipment. Dana Incorporated’s Off-Highway product division mainly focuses on the following vehicles: heavy industrial machinery in the construction sector and in the mining and forestry sectors. For more information about Dana Off-Highway Driveline Technologies and our products, please visit www.dana.com. 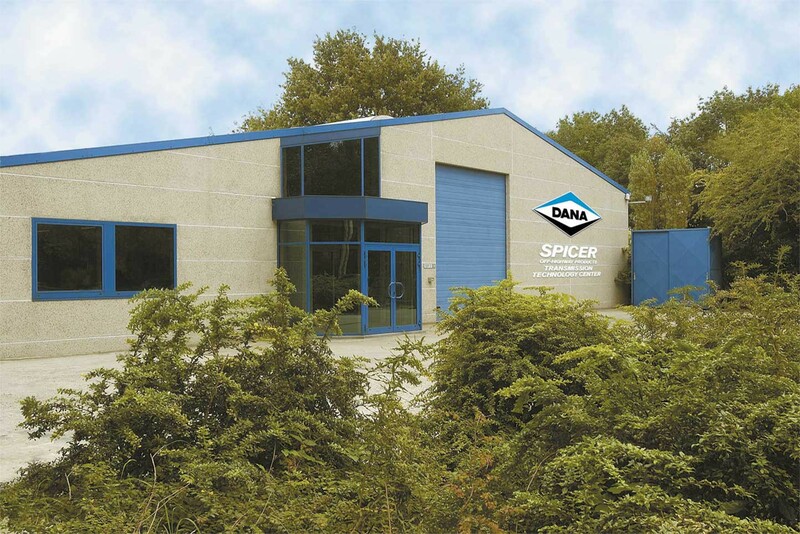 The Dana Off-Highway Drive and Motion Technologies group has offices in Belgium, Germany, Brazil, China, Hungary, India, Italy, Mexico, the United Kingdom and the United States. This group designs, manufactures, assembles and sells transmissions, torque converters and their related electronic controls, along with a full set of axles (drive and other), together with a complete drive system capable of managing power all the way from the engine to the wheels. These products are supplied to over 1,000 customers across thirty different countries. Dana Brugge is the global skills and production centre for torque converters and power shift transmissions for heavy-duty vehicles, such as bulldozers, cranes, reach stackers, forklift trucks and mining machines. 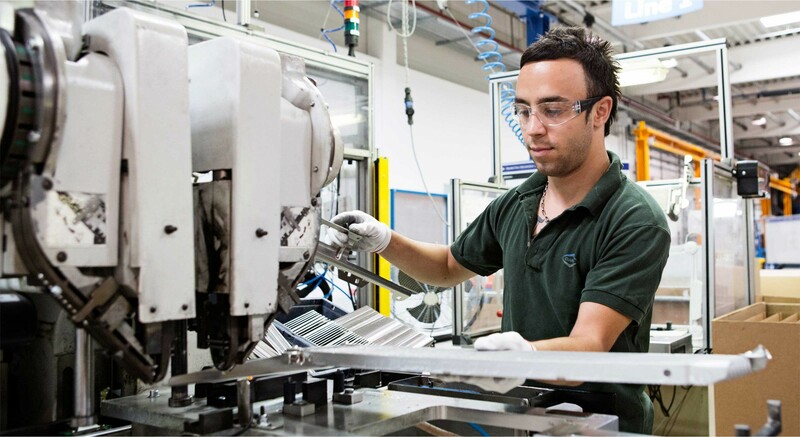 Over 500 employees take care of development, production and sales. The Bruges site owes its success to its underlying focus on technology and innovation. The increasing hike in fuel prices and ever stricter environmental legislation have generated a pressing global need to adapt heavy duty industrial vehicles to address these issues successfully. Dana’s response to growing demand with a stream of new technologies is just what was needed. Traditional machines such as bulldozers and forklift trucks are evolving into spectacular technological achievements, equipped with the latest advances in sensors and electronic controls (which have also been developed by the Dana Bruges team). The Bruges site owes its success to its underlying focus on technology and innovation. Ordinary passenger cars normally just drive straight ahead, but Off-Highway vehicles have a very different driving profile. They pick up a load, back up with it, start driving forward again, deliver the load and return back to their point of departure. Perpetually accelerating, braking, lifting and lowering the load results in high fuel consumption and CO2 emissions, which goes hand-in-hand with a permanent strain on the powertrain. However, our control systems are ‘self-learning’, which means they are becoming more efficient all the time. That means the amount of horsepower is far less important than smooth, rapid and timed gear changes at low and high speeds: all of which goes combined with responsible fuel consumption. Computers are able to manage these processes better than humans, which is why these vehicles come equipped with a smart gearbox. Acceleration is almost fully controlled by computer, making driving heavy-duty vehicles simpler and more efficient. It’s not the driver any more who determines what the best combination of speed, power and braking force is. No, the computer takes care of everything now. What’s more, our control systems are ‘self-learning’, which means they are becoming more efficient all the time. This integration of mechanical engineering, IT and electronics (when combined known as mechatronics) is what Bruges is hard at work on. 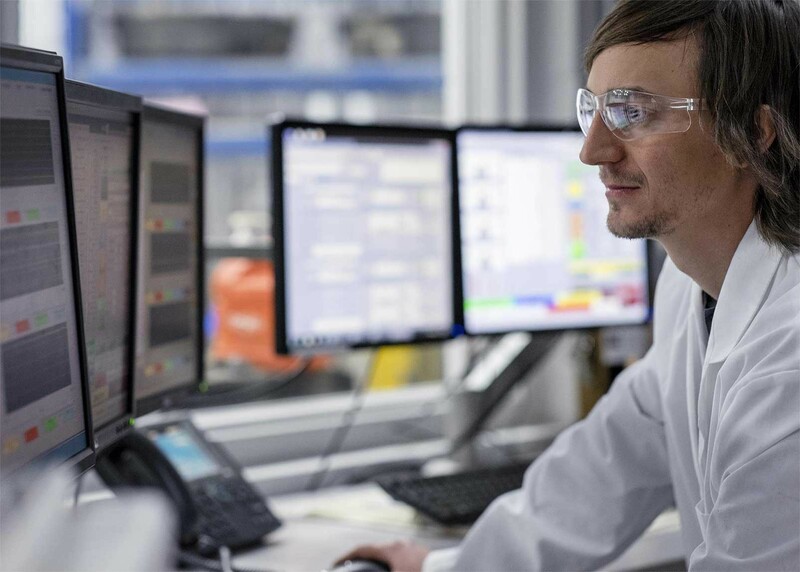 Driven by the need for greater efficiency and a reduction in operating costs, the presence of hybrid Off-Highway vehicles is becoming more and more commonplace. The Bruges-developed transmission system runs electromechanically and offers the tremendous advantage of stepless speed control, higher energy efficiency, lower noise production, etc. This too is a system entirely different from that of a passenger car. By storing energy released by braking in a battery and then re-releasing it when accelerating, the engine is able to run at its optimum point of efficiency, reducing operating costs and CO2 emissions. This is one example of the many energy management systems currently being researched by Dana Bruges’ development and test centre.